The other day I wanted to take some flowers to a friend, so I came up with a super-easy and attractive vase to hold the blooms. 1. Measure the height and circumference of your jar. 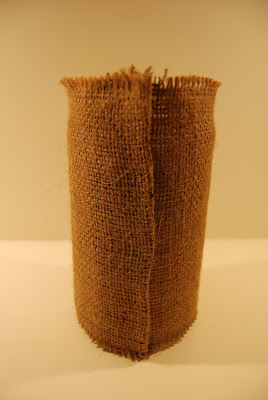 Cut a piece of burlap the width of your jar's height and a little longer than your jar's circumference. Mine was 6 inches tall and 11 inches around, so I cut a 6" x 12" piece of burlap. 2. Holding the burlap very straight, hot-glue the edge of the burlap to the side of the jar. Be careful! Hot glue will bleed straight through burlap, so you need to be extra careful not to burn your fingers. 3. 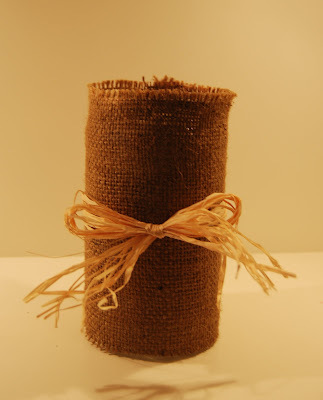 Hold the burlap tight against the side of the jar and wrap all the way around. Turn the side of the burlap under to create a neat seam and hot-glue the burlap in place. 4. If you like, add a raffia bow or another embellishment. 5. Cut off the stems of your flowers so that just the blooms show above the top of the vase. Fill the jar with water, add a few drops of bleach to keep the flowers fresh longer, and place the flowers in their cool container. This quick project cost me nothing but a little time and I think it was a real day-brightener for my friend! I'm sure that flowers in this pretty vase really did brighten your friend's day. I like a simple project like this that provides a big punch. 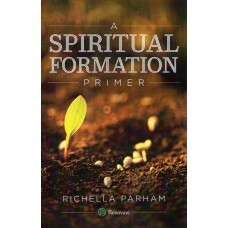 Very pretty, Richella!! Love the look of burlap on just about everything! I have a Pringles can and burlap and jute ready for this project! Bought them months ago after seeing something similar in blog land! You have given me the inspiration and motivation to make it and take it to a friend. Thanks! That is such a great idea!! I'm going out to my glass recycling and pull out last night's spaghetti sauce jar to have on hand. Trader Joe's always has inexpensive yet lovely flower arrangements so the pairing would be perfect. It looks great - who would know that it was an ordinary jar under there? ?